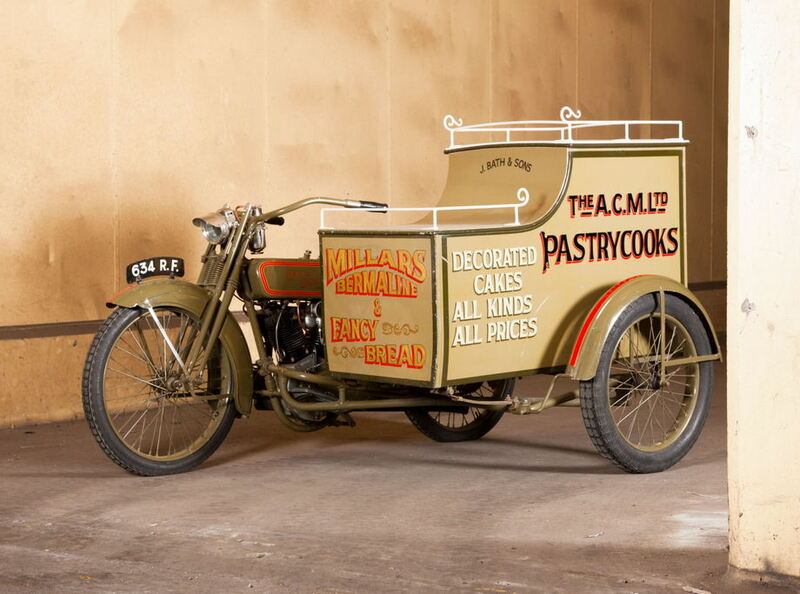 By the early 1920s, seven out of every ten Harley-Davidsons were sidecar outfits, such was the success of the design. Pictured here is Mr Millar, the son of Mrs Annie C Millar who started her own bakery and cafe in Invercargill over a century ago. As a hard-working matriarch, she expanded her business and provided for her family acquiring a second business in the early 1900s. To convey her fine product, she bought a 1904 single Cadillac car that turned out to be gutless; so, like any pioneering matriarch would, Annie acquired a Harley-Davidson side car outfit to drive (ride?) the company toward greater expansion. The image you see below is of her son Mr Millar upon a machine his family commissioned to celebrate its family history. This machine is in fine order and captures the history not just of early commerce but also of the roles such machines played in the lives of all New Zealanders.